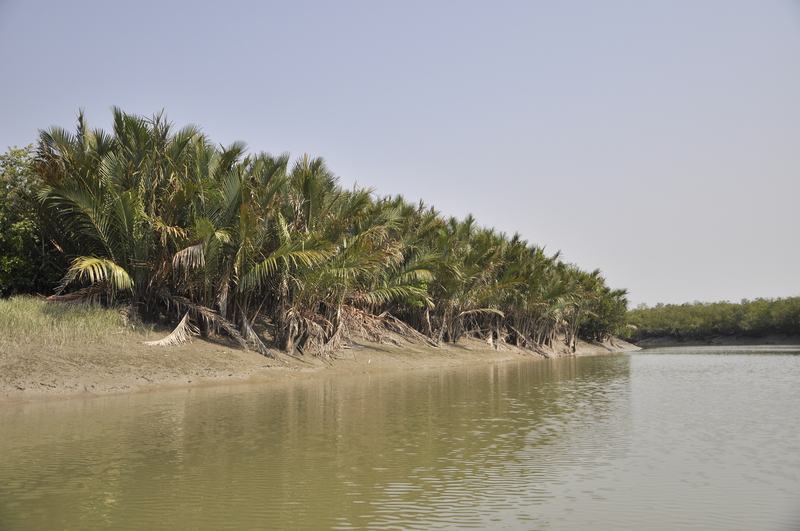 India has designated Sundarban Wetland as a Wetland of International Importance, its 27th. The Site (Ramsar Site no. 2370) is located within the largest mangrove forest in the world, the Sundarbans, that encompasses hundreds of islands and a maze of rivers, rivulets and creeks, in the delta of the Rivers Ganges and Brahmaputra on the Bay of Bengal in India and Bangladesh. The Indian Sundarban, covering the south-westernmost part of the delta, constitutes over 60% of the country’s total mangrove forest area and includes 90% of Indian mangrove species. The mangrove forests protect the hinterland from storms, cyclones, tidal surges, and the seepage and intrusion of saltwater inland and into waterways. They serve as nurseries to shellfish and finfish and sustain the fisheries of the entire eastern coast. The Sundarban Tiger Reserve is situated within the Site and part of it has been declared a “critical tiger habitat” under national law and also a “Tiger Conservation Landscape” of global importance. The Sundarbans are the only mangrove habitat which supports a significant population of tigers, and they have unique aquatic hunting skills. The Site is also home to a large number of rare and globally threatened species such as the critically endangered northern river terrapin (Batagur baska), the endangered Irrawaddy dolphin (Orcaella brevirostris), and the vulnerable fishing cat (Prionailurus viverrinus). Two of the world’s four horseshoe crab species, and eight of India’s 12 species of kingfisher are also found here. The uniqueness of the habitat and its biodiversity, and the many tangible and intangible, local, regional and global services they provide, makes the Site’s protection and management a conservation priority.